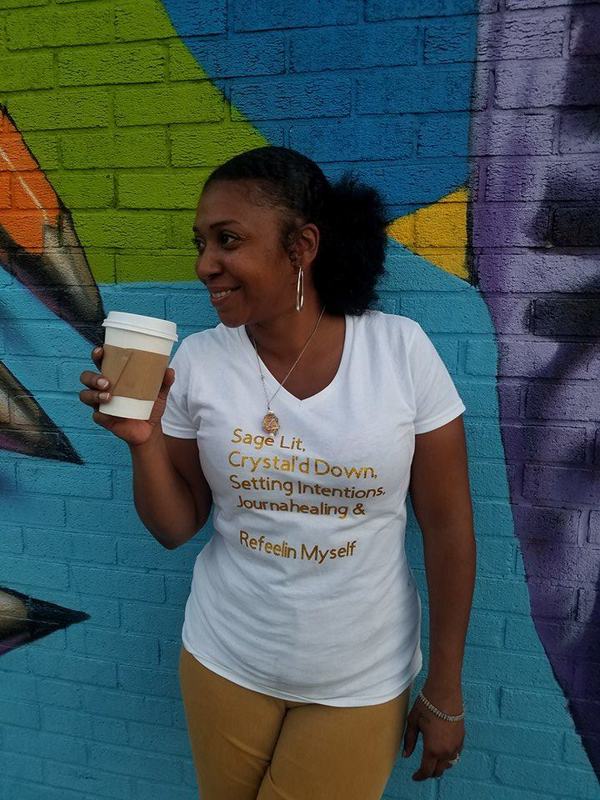 In July 2017, ReFeel & Co. launched as a lifestyle brand consisting of affirmation decks, reiki-infused oils and fixed candles dedicated to multilevel self-care. We call it Self Care on Demand: a toolbox that you can always reach into to take care of your needs. Check out our Cupcake & Caviar write-up during our time in Femme Fatale DC. Purchase now below! "Every day we must find the courage to advocate for ourselves, our self-care & our own truth." These words and more are packed into our newest deck, the Abundance Deck. One thing I've learned since launching ReFeel & Co is that affirmations are great, but denying how you truly feel in lieu of a feel-good phrase is counterproductive. Sarcasm is one of my love languages and I've learned that as long as Spirit knows my heart, cracking a joke in the midst of manifestation not only makes my words honorable, but even more powerful. 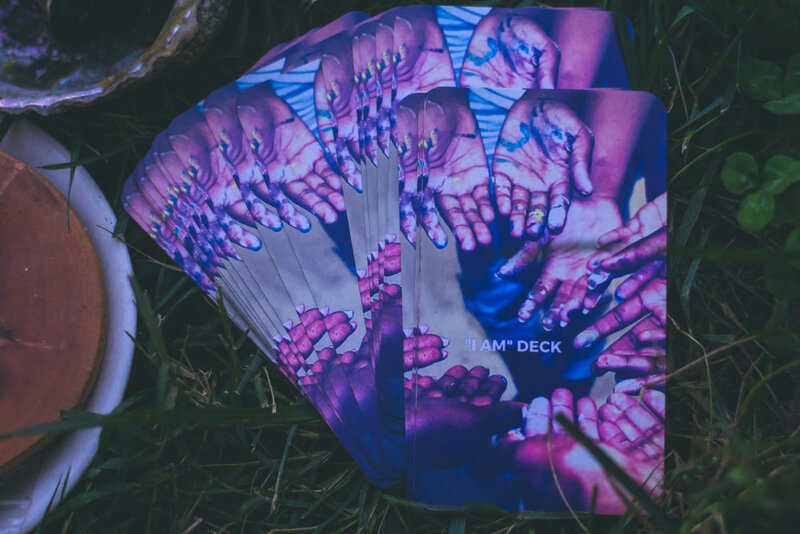 Here we have the Uncensored Affirmation Deck, the deck for explicit vibes and self gas ups. This deck and all others is $18. Add it to your collection and let the honest vibes commence. Craving a cold one on the beach? How about a manifesting one? ReFeel & Co. brings you Schmoney Mood Oil! Baked under the Taurus Sun and Scorpio Full Moon, this oil is all about manifesting your desires with a bullish tenacity. Manifest success wherever you tread. Conjured up with basil and cinnamon just to name a few, this oil has been dipped in powerful intentions and soaked in Citrine. How to use: hold in your hands and say a prayer of receptive intention. Make this bottle yours. Pour a couple drops into your left palm, your receiving hand. Rub into your palm as you speak more positive affirmations over your finances, businesses, projects, etc. Speak big. Believe big. Receive it. Rub it on your wallet. Your laptop. Anywhere where you desire to regenerate more cash flow and success. Speak your desires back to the Universe and witness them honor your work for your highest and truest good. This bright blue candle helps with boosting creative juices, breaks through the walls of writer's block, imposter syndrome, doubt, creative lulls. Work with the moon phases and energetic atmospheres for the very best results. Each candle is prayed over and infused with positive and abundant Reiki energy before delivery. Works best alongside your collective intentions towards the desired results. This warming orange candle assists in awakening to your higher self and all you have to offer that may have been hidden from you through trauma, grief, mental ashiness. Releasing old patterns, paradigms, timelines and wishes. Welcoming of new ways and identities. Protection during the release and rebirthing process. Dressed with Koju oil. Each candle is prayed over and infused with positive and abundant Reiki energy before delivery. Works best alongside your collective intentions towards the desired results. Be serious about that self-care, chile! Show how you get down with our Sage Bae tee. Stay warm and energetically woke with the Sage Bae hoodie. Available in a variety of color. Please indicate your color preference upon ordering.